Yesterday I worked on a level I personally really like. Hopefully it playtests well. I implemented Red Particle Walls, a concept I've had on paper for a while. These particle walls block the singularity from deploying, which lead to some interesting puzzles. Red particle walls must be turned off by red switches, and blue particle walls must be turned on with blue switches. Here's a gif illustrating how they work. The player must use the the singularity nodes in this puzzle to get past the particle walls. There's also a nullifier enemy that destroys the singularity, which the player must circumvent. 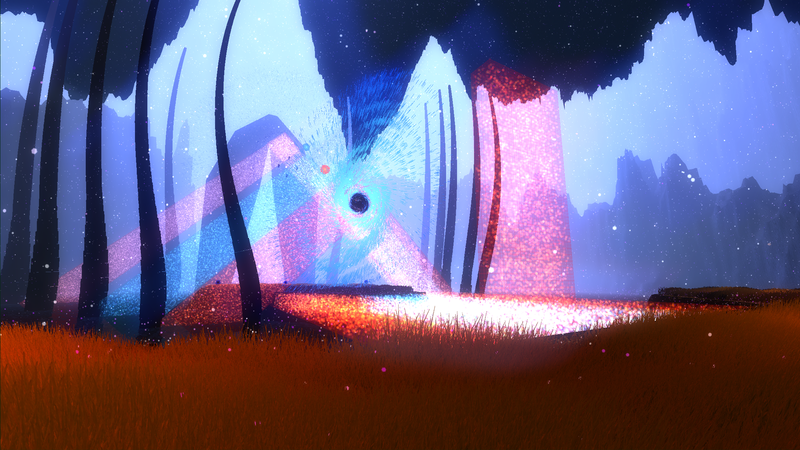 I'm running about a million particles in this scene, between the particle walls/environment/singularity assets. As my Computer Science professor said, "The first rule of optimization is, don't." That will probably hurt me later. No idea how you're able to handle a million particle effects and keep the game running effectively, haha. What engine are you using? Nice work; this really looks like something else entirely from most games out there. I'm actually using Unity 3D! For the particles I am using TC Particles. It's $95 for the 'indie' version, and it's probably the best purchase from the asset store I've made. They are GPU rendered with Dx11 instead of CPU rendered, so you can have a few million particles and still run strong. The only downside is the game is currently Dx11 only, which means it doesn't run on PCs made before 2010. And thanks! The game's identity took a while to develop. Recently, I worked on revising an old level from the original prototype in November that peopled enjoyed. 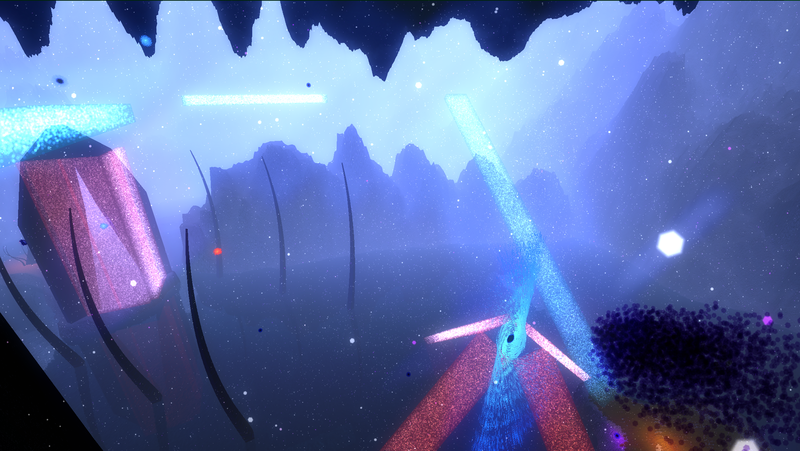 Players have to shoot the singularity far away multiple times to cross the various light bridges of the level. This is the last level before you acquire the 'bombard' mechanic to upgrade your singularity, so it's the most challenging of the sequence. I also did the Global Game Jam this weekend with a few friends, at Northeastern in Boston. For those not familiar, it's a game jam where you make a game in 48 hours. I only slept for 5 hours over 48 hours on the weekend. Fortunately due to the snow in Boston, I could catch up on sleep today. I'll probably work on a few new levels today/tomorrow after work (just started my new job at MIT!). I had another snow day today from work, there's about two feet covering my car too. The good news is, I can spend all of today working on Desolus! It's about noon, and I got some cool stuff done today already. The first (and very important) think I did today is I think I solved a persistent and difficult problem of conveying object proximity to the player. For a long time, players could not tell how far away objects were, mainly particle wall/bridge nodes. This understanding is critical to navigating levels where the player can control the singularity. The reason for this problem is that the particle engine doesn't convey distance well for assets that are only particles (like the nodes). 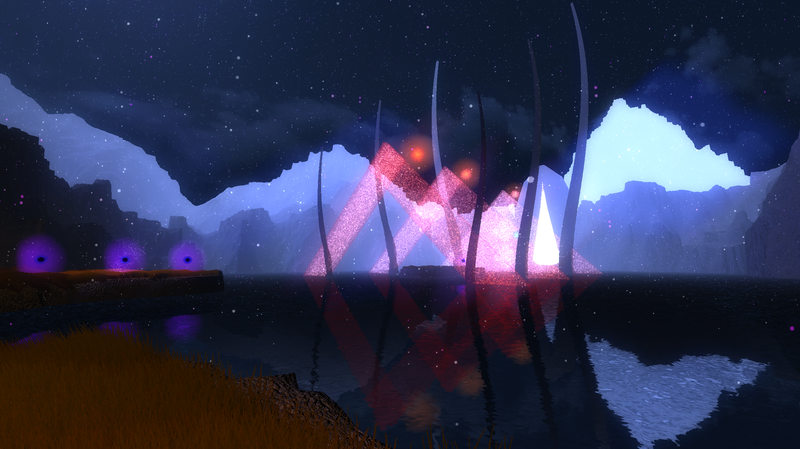 I 'solved' the problem by adding a halo light effect to all objects the player can interact with. This both tells the player what is important, and also conveys distance to the player. I also added a passive vortex force effect to singularity nodes. It looks cool, and also perhaps forms a mental connection between the nodes and the singularity. I extended this halo effect to turrets, to convey activation proximity. Here's an earlier level I revised, demonstrating how turret proximity works. This gif also demonstrates golden bridges which spawn after an enemy is defeated. Of course enemies respawn after 8 seconds, so the bridge disappears after this time. This adds into the timing/puzzle aspect of how bombard works with the rest of the mechanics. I'll probably ship off these new levels to a friend tonight for some playtesting. 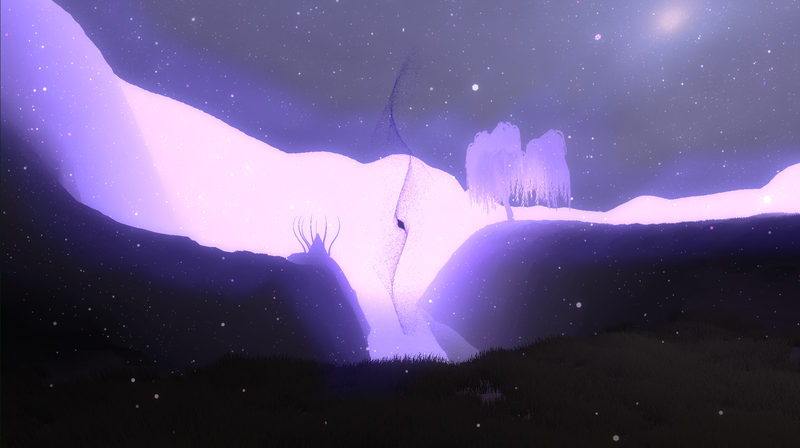 Also, follow me on Twitter if you're interested in development of Desolus! This post documents what would eventually become Desolus and how the game evolved over time. Desolus actually became a 'game' pretty much as soon as I started this DevLog. Around September 2014 is when I officially consider the start of development. For a while I was working on a 2D platformer that would eventually become Desolus. I spent about 4 months working off/on on this project. There pretty much wasn't even a game, it was more testing mechanics. I paid little attention to graphics and overall presentation (Yes... that is a Samus sprite). However, this is when the concept of the 'singularity' first existed. It didn't even have any meaning to gameplay, it was just in the game. 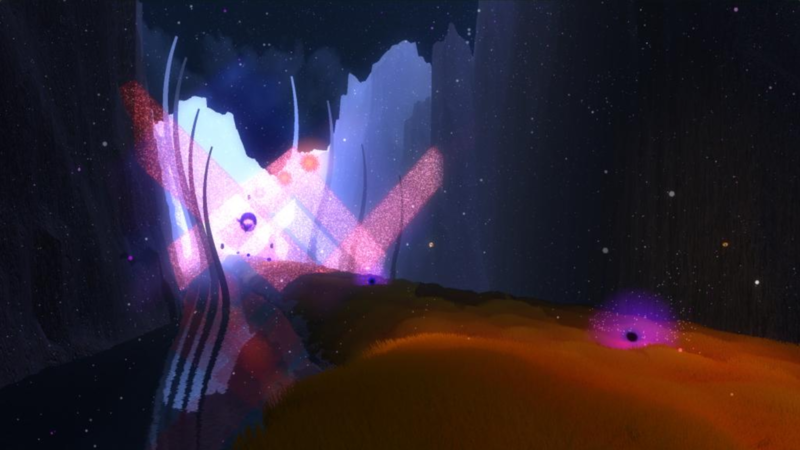 My first encounter with Unity was the Global Game Jam of 2014. After the Game Jam I decided to move my game to Unity, and make it in 3D. That was probably the best decision I've ever made in regards to game design. Here's a gif of the original prototype of Desolus on day 1. I rewrote the 2D mechanic into a 3D environment in Unity. All I had at that time was the code for shooting 'bullets' and the gravitational attraction of the singularity. Where would I go from here? What could I do with this mechanic? How will I make this game? These questions took me essentially until October to answer. In June 2014, I applied for the Boston Festival of Indie Games. What I had was essentially a broken prototype as a first person shooter with a weird mechanic I still didn't 'get' as a developer. Of course, I was rejected. Although at the time I was very disappointed, on reflection I can see why. The player had to shoot into the singularity, and then shoot projectiles back out to get past various obstacles. This was incredibly confusing to people, and without any tutorial was extremely hard to explain. The first time I showed the game in public was NEXPO, "Northeastern Entrepreneurship Expo." This was in late November, when I finally had a truly playable prototype ready. About 500 people showed up, and about 20 played the game. It wasn't a gaming convention, so there were a few individuals who have never even played games before. There was *one* individual who managed to finish the demo. Mainly because it was masochistically difficult.. and in a sense broken. He gave me a hug and thought wanted to take a picture with me; it was weird to see someone enjoy my game so much. The player essentially had to memorize timings to get past these bridges. It's difficult, to say the least. This past month I've probably put in 100 hours into the game. I've polished the game considerably, even since December. However, Desolus still continues to evolve; with every day I spend there is major revision or new feature added. In terms of new content, I've been working on two new environments and a new mechanic. Here's a bit of a teaser for the environments. 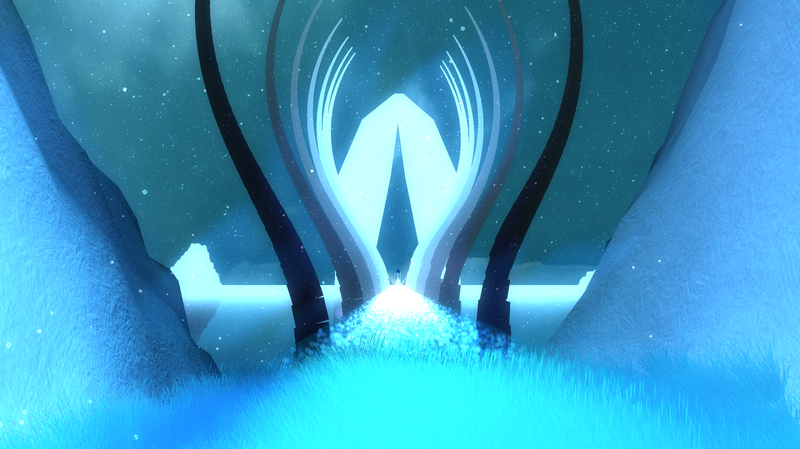 So far, Desolus is probably the most challenging project I've ever worked on. At the same time, it's the most interesting. I've been messing with a new mechanic. A while ago, I mentioned the concept of Singularity Types. The singularity can have various offensive capabilities, where it explodes and releases projectiles with a unique behavior. This is how the lightning singularity works. It's still experimental. Here's a gif in a test environment, facing off against a few turrets. Lightning fires a few projectiles which rapidly change direction, tracking enemies. The redirection is proximity based, therefore the positioning of the singularity affects how the lightning strikes. Applications for this would be positioning based puzzles that take into account angles and timing. For fun, I made the lightning singularity shoot 15 projectiles instead of 5. I don't know if this will make into the game to this degree, but I was curious what my computer could handle. I tried 50 projectiles too, but it put my frame rate at <5 FPS. Overall, I like what I have. I just need to make some levels around the mechanic to test it out more. I had my friend playtest the new build today and got some good feedback. I'm definitely making improvements! It's no secret that one of my favorite games is Metroid Prime. 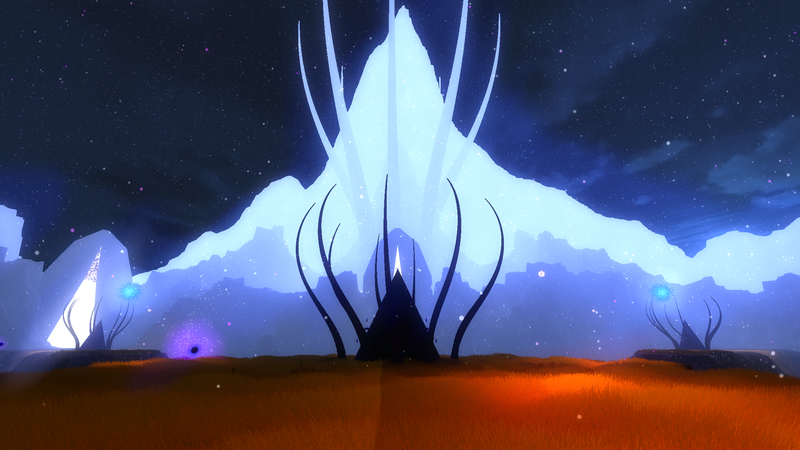 As such, Desolus draws a large amount of inspiration from that game. I've been experimenting with ideas and made something that's like a combination of the X-Ray Visor and Scan Visor from Metroid Prime. What it does, is make the player see a slightly different version of the world. In this realm certain objects will show up, such as nodes you can interface with that provide information. It's ethereal in nature; all audio is cut except for some ominous feedback. Sometimes silence is the best type of sound to convey atmosphere. 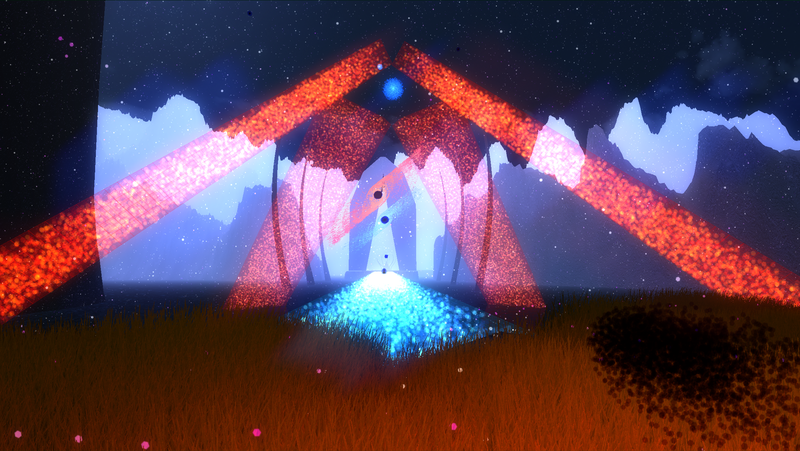 There are ethereal nodes that the player can look at, that display information. In the future, these will contains snippets of story or text; it's how the narrative of the game will take place. Think of it like the 'Chozo Lore' objects that you have to scan. In addition, I will also have objects entirely appear/disappear, such as platforms. From a visual perspective, it's an alpha invert and r/g/b color swap in a shader. Simple, yet effective, and not very expensive. In other environments, there are interesting effects on the visuals as well. I still have work to do with this mechanic (like transition, and level applications), but I think it's one that I will definitely keep. Artist & Game Dev Guy! These screenshots are gorgeous! Sorry if you already said this, but what timeframe do you have in mind for releasing it? I'm probably (realistically) aiming for a late 2016 or early 2017 release. It's just me right now and unfortunately I can only work on this in my free time. I usually put in about 15 hours a week, 20 on a good week. I may launch a Kickstarter in the future and move to full time dev, but who knows? Some pretty big changes have come in the past week. I've figured out how to link the various scenes of Desolus into one large game world. I didn't think it was possible due to technical limitations and optimization, but somehow it works! I'm pretty excited; it's like I'm dealing with a tangible world, rather than just arbitrary pieces. I have these objects called Particle Doors that allow you to transition between scenes. It essentially works exactly the same as doors do in Metroid Prime. You walk up to one, it opens, and buffers the level on the other side. If you walk away, the door closes. I'm still working on technical optimization, but the functionality is there. In terms of the actual game world; it's pretty huge. I wanted to convey an intimidating sense of scale in terms of how small you are compared to the environment. 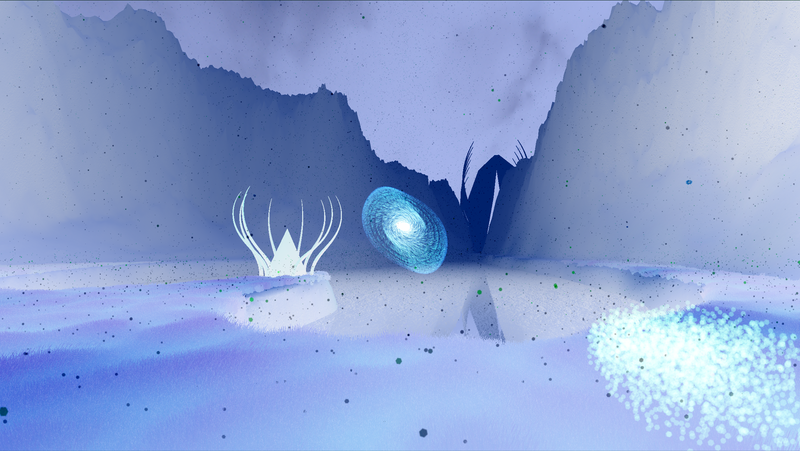 You can look at the particle door(s) and area in the gif for scale. I plan to create an overhead map system; ideally similar to how Skyrim does it in terms of presentation. I only have one level loaded in this screenshot. 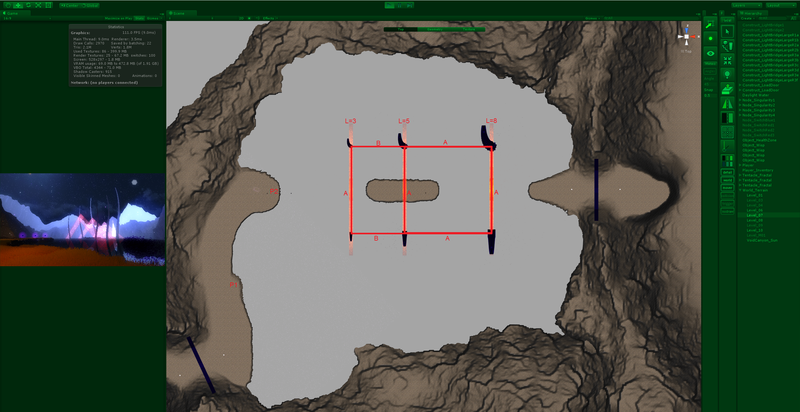 Terrain is shared between levels, with certain sections enabled and disabled, and model resolution decreased. These also aren't empty spaces; pretty much everything pictured contains content and levels I've already made (loaded in separate scenes). I assembled the levels together into a cohesive whole, making a logical progression in a 'Metroidvania' style. I plan to have five worlds, this is the first. However, the other four will be smaller. If you look at the title picture (very first picture of my original post), World 1, the 'Void Canyon' takes place inside the center pyramid of the Desolus structure. Content might have to be cut for scope/feasibility's sake, but ideally all 5 pyramids will have some type of game world. I'm showing an alpha demo of the game at the Playcrafting Boston Winter Expo on Feb 24th. Come play the game if you're in Boston! Belated comment on update 15... Man this is really bluffing I'm also speechless the first gif is impressive. Love the effects! Keep it coming man. I've made some additional major changes in the last week. I the last few weeks I revised how the player controls the black hole. The game doesn't have a crosshair, or any UI really. I do this intentionally, for immersion purposes. However, communication for aiming/shooting/perception/timing is absolutely necessary, as I've come to learn through playtesting. Before, shooting the singularity and placing it on nodes (which create bridges, make the singularity into a weapon, and also give the player abilities) was almost impossible in terms of aim, depth perception, and timing. This is one of the core mechanics of the game, and needed revision because the game was almost impossible (although some playtesters really liked this). 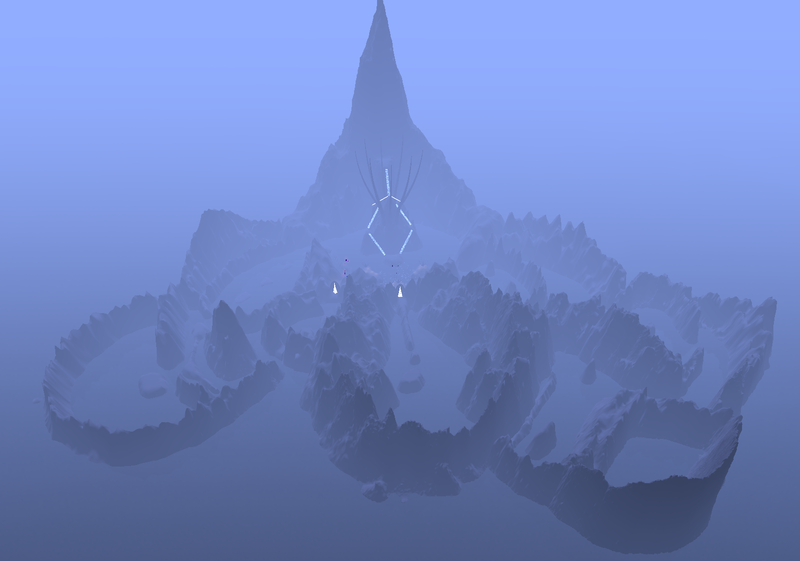 Before, the player would have to guess/check BOTH singularity placement, and distance. This means the player would look with the mouse without indication of aiming, and then have to shoot the singularity. The player then had to stop it in the correct position, which was made much more complicated by lack of distance perception. To top it off, other puzzle elements would increase difficulty, such as the enemies that move to various angles/positions to destroy the singularity. So, based off of several early playtesting sessions, I made the following changes. -Your 'weapon' used to shoot the singularity now changes colors when looking at interactable nodes. -The singularity will now stops position on nodes, but only while looking at them. -By holding right click while a singularity is stopped in position on a node, you can time when it activates. This makes the game *considerably* more accessible, as aiming, positioning, and timing have all been made feasible. For reference, here is a gif of how everything plays together. It's a 'puzzle' I made to teach players timing. The enemy on the left destroys the singularity if not blocked by the particle walls. I've also been heavily revising the world to fit all the pieces together. For example, here's a picture of the still in progress 'hub' of World 1 that I've frequently shown. Doors are where scenes link; it works well aesthetically and for optimization purposes for separating content. I definitely have a ton of work to do in the next week in preparation for the demo. However, in a week I should have Alpha gameplay at least somewhat representative of the final game. I made some interesting advances in regards to level design/layout this week. I've decided to incorporate Perfect Geometry into level design. What this means is I use mechanisms such as Symmetry, the Golden Ratio, and the Fibonacci Sequence when designing level layouts. 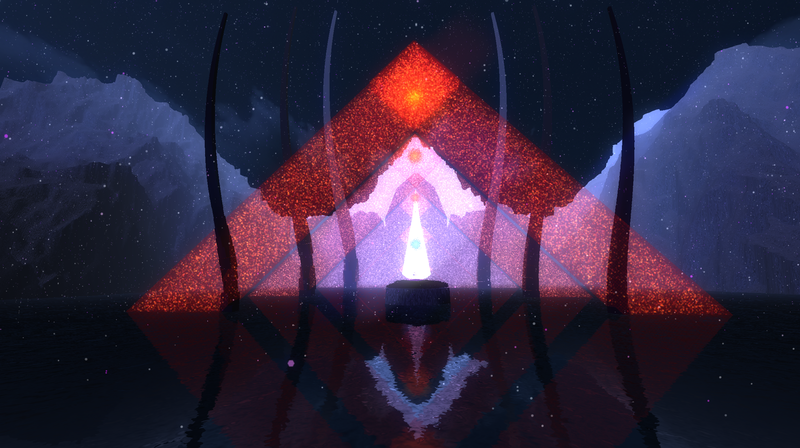 The objects of the level are arranged with vertical symmetry, and have horizontal symmetry as reflected by the water. The particle walls arranged in a golden ratio to each other. In addition, the 'tentacle fractals' are a Fibonacci sequence in size (3 units, 5 units, 8 units). Here's a behind the scenes view from an overhead perspective in editor mode. The high resolution of this image is available here. The particle walls are arranged in a right triangle placed at a golden ratio away from each other. Each of the 'tentacle fractal' points are placed to form a golden rectangle. The 'fractals' have a length of L=3, L=5, and L=8, respectively (representing a Fibonacci sequence). When placed at the 'golden ratio' points to create a golden rectangle, the result is a ~45 degree angle slope between the tips. When viewed at a ~45 degree angle (around point P1, corresponding to first screenshot), all of the triangle slants align perfectly. When viewed at a ~90 degree angle, or straight on (around point P2, corresponding to the second screenshot), all of the triangle tips align perfectly. The reason I made these levels 'perfect' is because I was actually doing it anyway in design. I just didn't realize it!! I went back to many of my levels and rearranged objects to use these concepts with near-exact math. From a narrative perspective, I want the Desolus, the alien structure in which the game takes place in, to be an unsettling environment. Something that couldn't possibly be natural, yet incorporates natural elements; an 'emulation' of nature. I'll be super busy today polishing up my Alpha demo for the Playcrafting Boston Winter Expo. I enjoyed playing your game at playcrafting, though I only played one level. I think there's an interesting system that you have going on. At this stage of your progress or maybe just with the specific level I played, It didn't feel like I had enough freedom. I eventually I figured it out, and it was satisfying then, but I feel like maybe there either wasn't enough room to play around and experiment, or that it wasn't mechanically deep or clear enough to be really interesting, though I still did enjoy it. Maybe it was just that I didn't play the earlier levels, and started off disoriented. I'm interested in what seeing how this develops, and I wish you the best of luck in making something really awesome. Thanks for the feedback!! I'm glad you enjoyed the game. I know the game can be a bit confusing at times, but it's my goal to figure out why; it's part of the development process. At this stage in development I've been tearing apart/putting together mechanics in different ways. Not all of the levels are 'good' yet. I'm curious as to what level you played, do you remember? That level in particular I found can be frustrating to players, as the second section has a turret that will kill you as you're trying to figure something out. I realized that scenario isn't ok. The level also restricts your movement to a linear fashion. The earlier levels in the demo (where you can't actually control/shoot the black hole) are arguably weaker, since A- I made them earlier into development, where I didn't have as much practice making levels and B- the mechanic depth isn't as detailed, since you only have a few choices rather than full control. This is part of why game development is so difficult, especially with a weird mechanic. It's also difficult to present this type of game in an expo environment, since there's a slow buildup in complexity, and only a limited time to present. The fact that you jumped in probably exacerbates this issue. Thanks for your time, your feedback is very valuable! This is looking really good, the aesthetic, the effects, the minimal interface are all right up my alley. I'm really digging that Interstellar-inspired black hole experiment you did too, keep pushing those boundaries! Thanks!! The black hole shader will eventually go in game. However, the shader doesn't work with multiple black holes. It's actually modifying/warping the screen space in terms of how the camera renders it. I need to find a way to make it so that the shader inputs multiple black hole positions, or recursively stacks a single effect. It's a hard problem that I've put on the back-burner for the time being. I also took a look at 'singmetosleep' and it looks great. The theme and atmosphere is similar to what I'm going for. Looking forward to playing it!! I think I'll invest in an Oculus Rift at some point, and enable support for Desolus. I've had experience with implementing it other games (although I don't own one) and it seems somewhat straightforward. However, making an FPS controller that doesn't make the player disoriented and nauseous is a huge problem. I'm curious how you get past that!